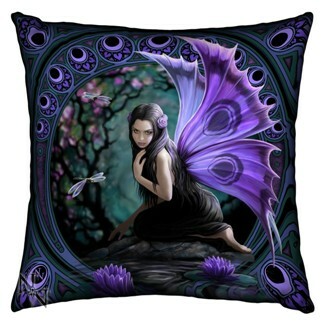 A cushion designed by artist Anne Stokes. It is made from a high sheen satin effect material; it measures approximately 42cms square. Cushion Cover with pad.